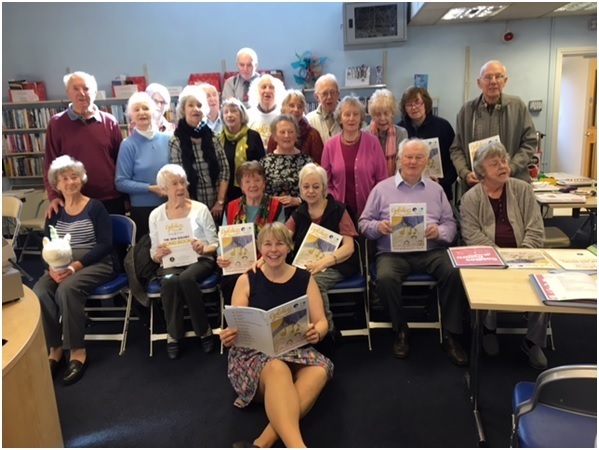 With the support of charitable giving from organisations such as The Rank Foundation, the Golden-Oldies Charity has been able to provide brand new songbooks to all 150 Goldies Singing and Activity sessions, reaching over 2500 people every month. Goldies participants across England and Wales are now enjoying a selection of 51 new songs which were chosen by the folk themselves who attend the sessions. The song books include such favourites as La Bamba and Achy Breaky Heart. The cover for the Goldies Cymru song book was designed by 10 year old Connie Chapman who attends Thornhill Primary School in Cardiff.